President John F. Kennedy was securely fastened in his grave before he became the subject of a flood of bestselling biographies. Most were embarrassingly admiring, almost worshipful. Many of these books were written by those who had worked closely with Kennedy and knew his most intimate secrets. Yet the worst of those secrets did not emerge until the early 1970s. Donald Trump, by contrast, has held office less than two years—and two books highly critical of him have already emerged, with a third to appear on September 11th. The first, Fire and Fury, by Michael Wolff, appeared in January. The second, Unhinged, by Omarosa Manigault-Newman, came out in August. And on September 11th, the most devastating book yet to appear on Trump will make its debut: Fear: Trump in the White House. Its author is Bob Woodward, legendary investigative reporter and Washington Post associate editor. Trump’s former lawyer John Dowd warned the President not to testify before Special Counsel Robert Mueller: “It’s either that or an orange jumpsuit” for perjury. 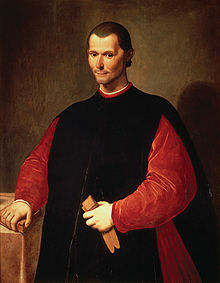 But Machiavelli warned about relying primarily on fear: “Still, a prince should make himself feared in such a way that if he does not gain love, he at any rate avoids hatred, for fear and the absence of hatred may well go together.